Pamela Christian has been appointed Biola University’s Vice Provost for Inclusion and Cross-Cultural Engagement. She will oversee Multi-ethnic Programs & development and Biola’s Center for Cross-Cultural Engagement. In her new role, Christian will lead Biola in becoming a university that will attract and advance a community of cross-cultural, globally aware Christians and develop students that are intellectually and experientially cross-cultural Christians, effectively able to live out the gospel in diverse settings and provide servant leadership across the world. Christian, who started in her role Aug. 1, comes to Biola from Azusa Pacific University where she served in various capacities since 2002 including special assistant for university diversity, assistant and associate provost, and most recently in Azusa’s School of Education as a professor of doctoral studies. 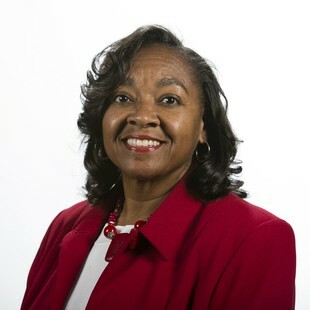 Christian earned her master’s degree in educational counseling from California State University, San Bernardino and her doctorate in higher education administration from Claremont Graduate University. She has leadership experience in public and private universities, community college, and in partnership programs with K–12 education. She is experienced in leading student groups abroad, and has taught in Ghana, Alaska, Ethiopia, Egypt, Mexico, South Africa, and the Netherlands. She received the prestigious American Council on Education Fellowship Award, and participated in the Harvard Institute for Management and Leadership in Education, and the Lakin Institute for Mentored Leadership. Christian’s research interests include leadership and mentoring, educational pipeline issues from K–12 and community colleges to higher education, technology in education, diversity, ethics, and the study of doctoral education. Written by Jenna Loumagne. For more information, contact Jenna at (562) 777-4061 or jenna.l.bartlo@biola.edu. Is this where Biola student tuition is going to? Unbelievable ! This is an unwise waste of funds & this position isn't at all necessary to the university. It seems Biola is trying more & more to be like the secular universities. Perhaps instead of having this unecessary position, Biola could lower the tuition for its students. Just a thought. Congratulations, Ms. Christian. May God continue to bless you and Biola Univerisity.